Jazz in the 1960�s was at the heart of popular culture in Stockholm. Concerts were played regularly at the city theme park Skansen, under the title �Jazz under the Stars�, at the clubs Nalen and the Golden Circle as well as at lunchtime in schools and student union gatherings. The Modern Museum and The History Museum were also venues for regular broadcast sessions. At the centre of this phenomenon was Lars Gullin, an outstanding musician by any standards, his compositional skills together with a slightly melancholic baritone saxophone sound expressed a sense of Scandinavian �cool�. 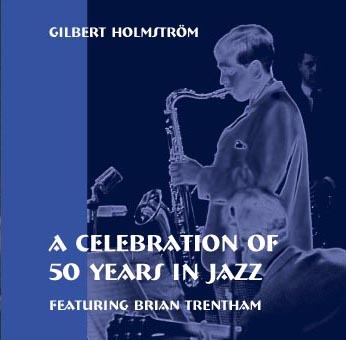 During 1964, in particular, his closest collaborators were alto saxophonist Rolf Billberg and tenor player Harry B�cklund - three contemporaries with kindred spirits making incredible music, alas for an all too brief period. Naturally, they were recorded in the studio and in concert, but the limitations of time available on a LP excluded some material and additionally some was only privately recorded on analogue tape recorders. 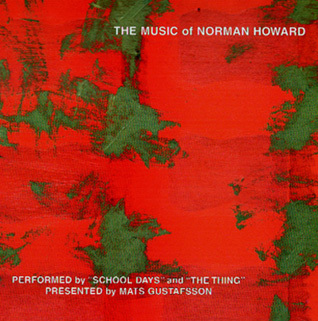 The advent of the CD and digital techniques has allowed some of these recordings to be resurrected and made available for the first time. 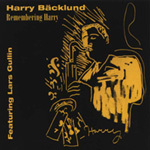 Harry B�cklund was a first class tenorist who played with great feeling, born in Mora in Dalarna, like the other two he did his early playing in a military band. His ability quickly brought him to Stockholm where he played with Putte Wickman before playing with Gullin. He never released an LP in his own name although he had his own group including pianist Nils Lindberg. This CD sets that omission straight and showcases him both with Gullin and with his own group. The tracks include �Darn that Dream� which was almost his signature tune and a 17 minute version of Gullin�s �I�ve Seen� which says it all. 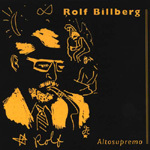 Rolf Billberg, died tragically early aged only 36 years old. A purist, with a superb technique and tone, he played frequently in Copenhagen as well as Stockholm. Born in the ancient University town of Lund, he started on clarinet and then switched to the tenor before settling on his preferred instrument the alto. He left behind him a catalogue of unreleased recordings both in Sweden and Denmark, including the tracks on the present CD. Outstanding are the long version of the Lennie Tristano tune �Ablution�, �Nigerian Walk� and �My Old Flame� from the Golden Circle with Lars Gullin and Gunnar Svensson. 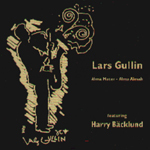 This CD mainly contains a concert from the Stockholm Student�s Union from 1964, where Gullin is joined by Harry B�cklund. The bottles clunk, the piano is under-recorded but the music is magic. The atmosphere says this was Gullin with his pals in a setting which brings out the best. �What�s New� is from the Golden Circle and is almost 10 minutes of pure creativity.